still vibrates when Beep… is disabled. figure 58. The option can be disabled by removing the checkmark. large icon only stops the beeping. Fig. 58. 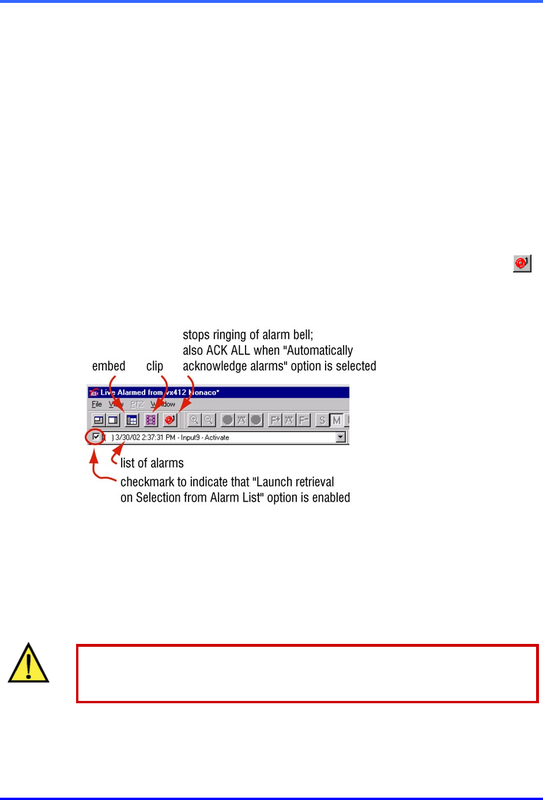 Live Alarmed toolbar detail. For context, see figure 59.
received at the operator’s PC. Preparation. Accept Alarm Callbacks. Setting for PCs designated as Multi-Media alarm stations.